June 21, 2016 June 27, 2018 Aleisha Ashton (A4LAA CHANNEL)Leave a Comment on Try a silicone cupcake tray! Try a silicone cupcake tray! I really enjoy baking cupcakes and I just hate when the wrapper sicks to the cupcake. Now, I don’t have to worry about that happen again. I made blueberry muffins and they tasted so good! Below is my video review! EXCELLENT QUALITY: BakeMaster Silicone cupcake pans are made from high quality silicone with no plastic mixed and additional reinforcement between the cups add extra durability, long life and heat resistance of up to 450 degrees Fahrenheit. 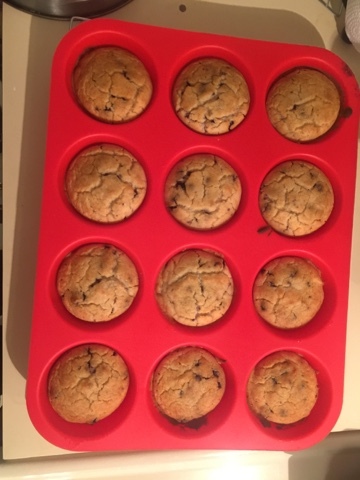 ALL PURPOSE USE: BakeMaster muffin pans are made from FDA approved silicone, that is odor resistant, rust free and does not need any grease, unlike the metal pans. Silicone baking pans can be used for both baking, and freezing the food items. EASY TO CLEAN & STORE: Unlike the tin pans, silicone pans create less mess and can be easily cleaned and reused. Because of their light weight nature and flexibility, silicone cupcakes pan can be easily stored and do not need a lot of space like metal pans. USE FOR ALL OCCASIONS: Silicone mold are perfect for all occasions like parties, holidays, picnics, celebrations, pot lucks, or just to create a simple quick snack. BakeMaster silicone pans come in simple packing with a 100% Money back guarantee or replacement if this product does not meet your standards.